13 "Must-See" American Film Festivals for 2017! Every year, dozens of film festivals are held in the United States to celebrate amazing cinema from around the country and the world. Well, most of them anyways. Some festivals celebrate works that are "unique" more than anything, and others focus on a particular genre. But the festivals are always fun and full of people enthusiastic about the art form. And few people are as enthusiastic about film than Roger Ebert. Which is why he throws Roger Ebert's Film Festival every year in his hometown of Urbana, Illinois. Originally founded to highlight films that the renowned critic felt were "overlooked," he has since loosened his criteria. The movies can be either recent or from the dawn of cinema, but winners in all categories are awarded a Golden Thumb. The Honolulu International Film Festival is a great opportunity to appreciate some of the world's most visually arresting films in one of the world's most beautiful settings. Languages from around the globe are represented here, as are dozens of entries in a wide variety of genres including animation, comedy, drama, and documentary. The 100 Words Film Festival in Charlotte, North Carolina is all about concision. Each one of the festival's independent films has to have 100 words of spoken dialogue. No more, no less. The idea is to emphasize the art of storytelling through effective use of dialogue and cinematic techniques. Be sure to book your tickets early though, the first festival in 2014 was sold out. Idaho is home to the Backcountry Film Festival, a celebration of the "Human Powered Experience" run by the Winter Wildlands Alliance. Entry is open to filmmakers of all experience, the only rules are that films be between 3 and 30 minutes long and be related to recreation or conservation without an engine during the winter. What that translates to is an exciting mix of documentaries and fictional stories full of skiing, snowboarding, and other winter sports. The Disposable Film Festival is another festival that seeks to use limitations to spur creativity on the part of filmmakers. No professional cameras are allowed, phones, DSLRs, and webcams are what entrants are expected to use to make their short films that center on disposable media. 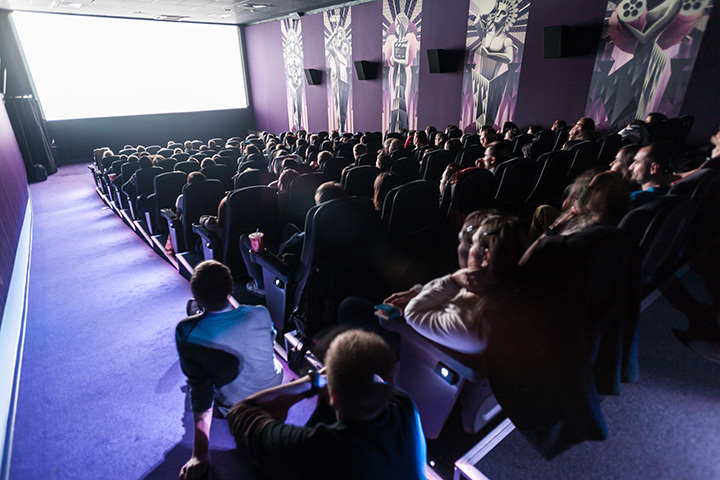 With a low entry fee and an emphasis on accessible digital media, the Disposable Film Festival this is a great opportunity to see the cutting edge of film. South By Southwest in Austin Texas is more than just a film festival. It's a world famous showcase of music and interactive media as well, but the film alone would be reason enough to go to one of the hippest festivals in the country. Comedy fans in particular should try to make it. Alongside all the excellent independent films are offerings from major studios who like to use audience reactions at South By Southwest to get a feel for how movies will be received by a wider audience. The GLAS Animation Contest celebrates the wide world of animated works. Hosted in Berkeley, California, the Global Animation Syndicate's first festival will happen in March of 2016 and accept submissions from animators of all skill levels and techniques. There are several large festivals for animation overseas, but the GLAS Contest aims to become the premier celebration of excellence in animation in the United States. The True/False Film Festival of Columbia Missouri is a celebration of documentary films and art. True/False's theme for 2016 is "Off the Trail" and submissions are expected to reflect a sense of adventure and the discovery of secrets. Part of the appeal of the festival is that artists and filmmakers are all expected to not just appreciate but also create new works during the festival, highlighting the importance of non-fiction story telling in the modern age. Rochester, New York is both the birthplace of the Kodak Company, and Susan B. Anthony, and the Highfalls Film Festival seeks to honor the city's legacy of innovation in both film and feminism. An international collection of films about, by, and starring women, it's a celebration of innovations made both in front of and behind the cameras by women. No list of film festivals is complete without mention of the largest festival in the US, the Sundance Film Festival. With numerous grants, workshops, and research programs, Sundance contributes directly to the creation of critically acclaimed works of art by American and international filmmakers. Buffs will appreciate the opportunity to see films that will go on to have historic prominence, as well as the festival's unique commitment to telling diverse stories including those of Native Americans, women, and religious and gender minorities. If you have a fear of heights, the "Mile High Horror Film Festival" might seem aptly named, but don't worry, there are plenty of zombies, aliens, and axe murders on the screen if that's less scary to you. The name comes from the festival being held in Denver, Colorado, although fair warning that films playing on your vertigo aren't off the table. Of course, if you're a true self-proclaimed film snob, you have to love French Cinema. In that case you need to make your way down to Richmond, Virginia for the French Film Festival. Every year, a sampling of the latest and greatest films from France is offered up for Francophones and those who don't mind reading subtitles. Directors and starring actors are on hand to introduce each film, including some making their North American debuts or even world premiers. Last, but not least, there is the Tribeca Film Festival. New York City is of course a hub for culture and art of all sorts, but this festival, originally organized as a response to the September 11th attacks in 2001 is not just a celebration of the cinematic arts, but of life and the New York spirit. In 2016 its panel discussions will include Tom Hanks and Tina Fey, as well as avant garde films from across the country and around the world.